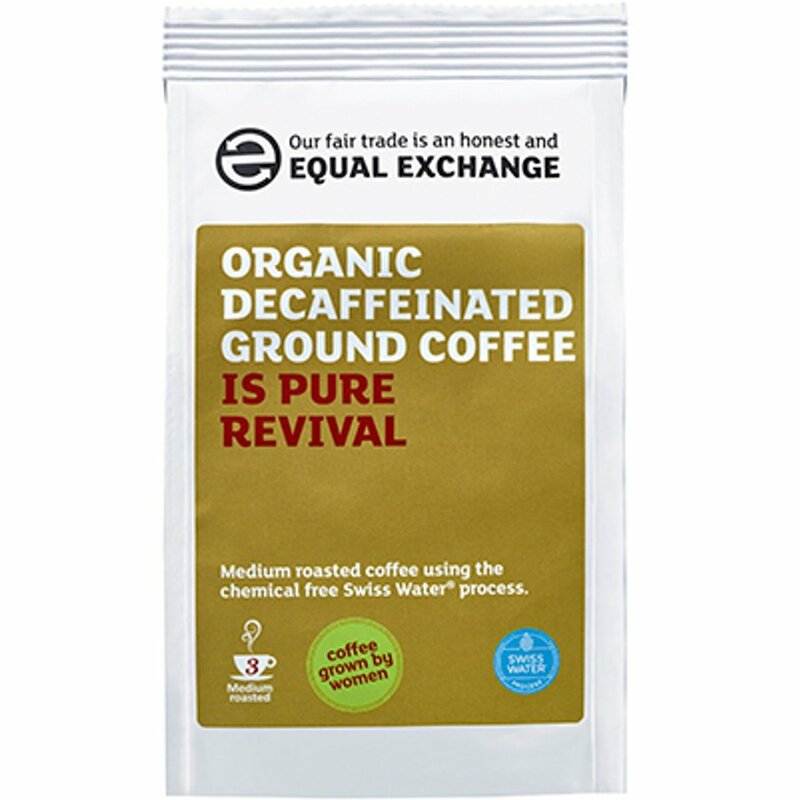 227 grams organic, vegan friendly Equal Exchange Decaffeinated Coffee, made using fairly traded ingredients. 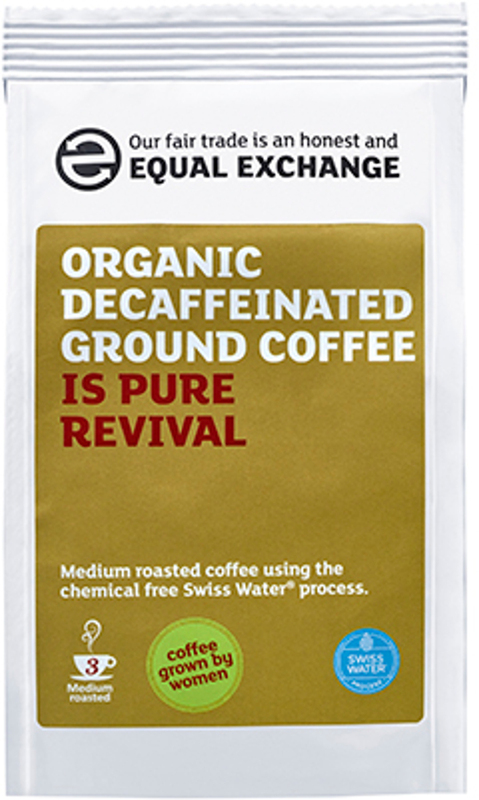 The Equal Exchange Organic Decaffeinated Ground Coffee - 227g product ethics are indicated below. To learn more about these product ethics and to see related products, follow the links below. I love coffee especially when it is in the mild to medium roast range like Cafe direct Kilmanjaro. Unfortunately I have had to reduce my caffeine intake and I went in search of an equivalent caffeine free medium roast quality coffee. Im delighted to have found this Equal Exchange decaffinated coffee which indeed tastes v good. I am grateful to Equal Exchange for catering for people like me. This is a tasty and sophisticated alternative to caffeine coffee. Really good coffee. I've had guests over who always comment how delicious it is! There are currently no questions to display about Equal Exchange Organic Decaffeinated Ground Coffee - 227g.